BABBOO the concept - the website of BABBOO music! What's a BABBOO? BABBOO is the only human-resembling primate which comes from the future, thus not from the past as it is of use in Paleoanthropology. Indeed, it is a further step for humanity - better? worse? who knows... surely more musical! In October 2012, in the beautiful city of Amsterdam, surely inspired by the Moon, together with the conspiracy of other Planets and Stars, the songwriter Alessandro Mezzogori wrote his own solo music-theater pièce, °Babboo Theater°, aiming to help the beloved audience to let their Inner Animal rise and shine. For Alessandro, Music has the great power to wake up the best energies of the humane. 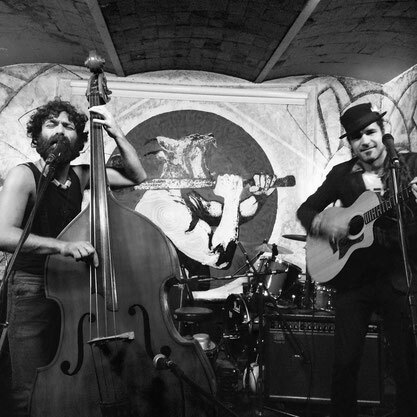 In April 2013, because of the excitement aroused in the Amsterdam Audience, soon a band had been formed from the same concept, enhancing and expanding the reach of the music of this versatile songwriter. 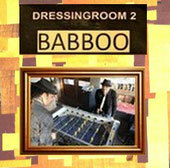 Great inspirers of the core concept of BABBOO have been Paolo Conte and Mano Negra.